aw i love them, gorgeous rings! the second one is really pretty. I love rings and all your new ones are really cute. I would buy all of them. thank you for your comment, I love your blog and I'm following you now, want to follow back? all 4 are amazingly beautiful! me encantan todos!sobretodo el primero y el segundo! They're lovely, indeed. Thank you for a visit on my blog. thanks for your coment! the rings are beautiful. has a new fan! i love all your post so far. You have a new follower and a new real fan!!!!!!! wow! 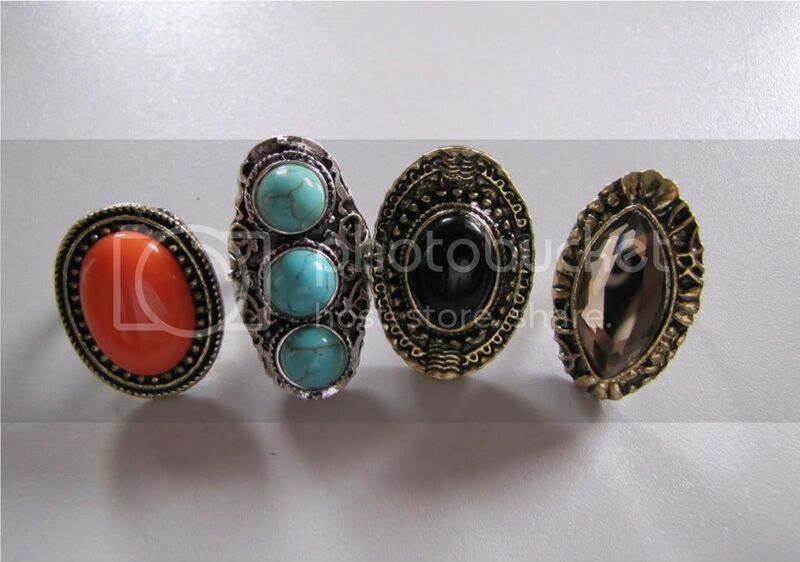 these rings are super cute! !